"Diane and Kenny are professional and caring in every sense of the word. 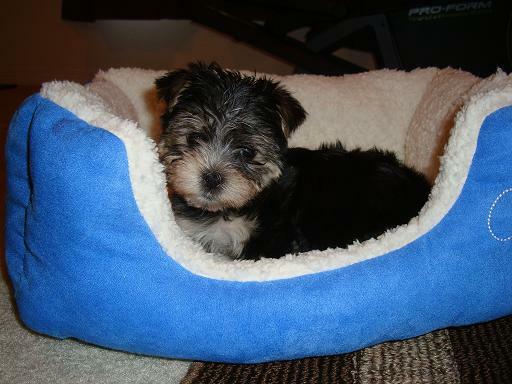 We purchased a beautiful little Morkie from them and could not have had a better experience. 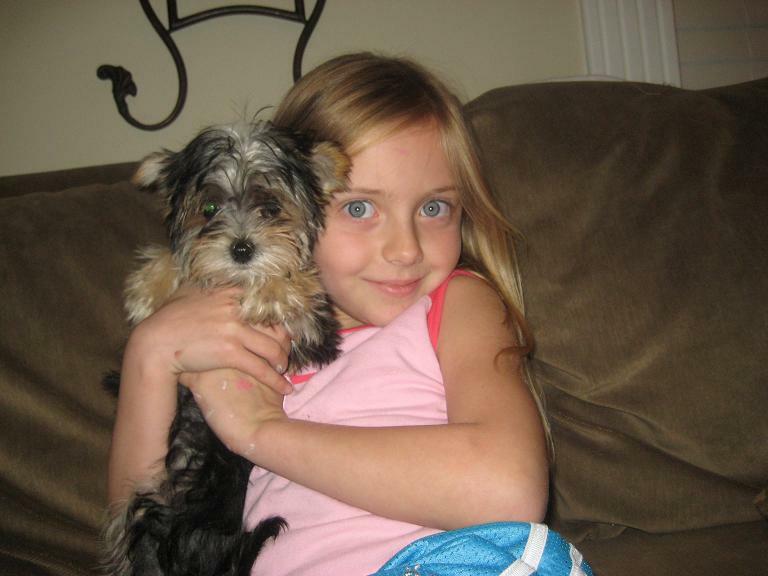 You could tell that our puppy (Baylee) had been well taken care of and came from quality parents. Diane e-mailed us several pictures before we decided to buy, was always very prompt in getting back to us, and when we were ready they even brought her to Omaha, NE. We have purchased three dogs from other breeders prior to Baylee, and I can say without hesitation that Diane and Kenny are good at what they do and sincerely care for their animals. 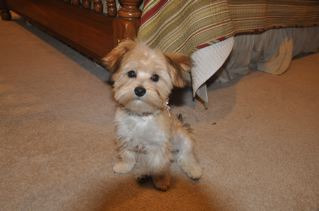 Baylee is 8 months old now, weighs 2.9 pounds and is healthy and playful. If you are seriously considering getting a puppy, you will not be disappointed with Diane and Kenny." 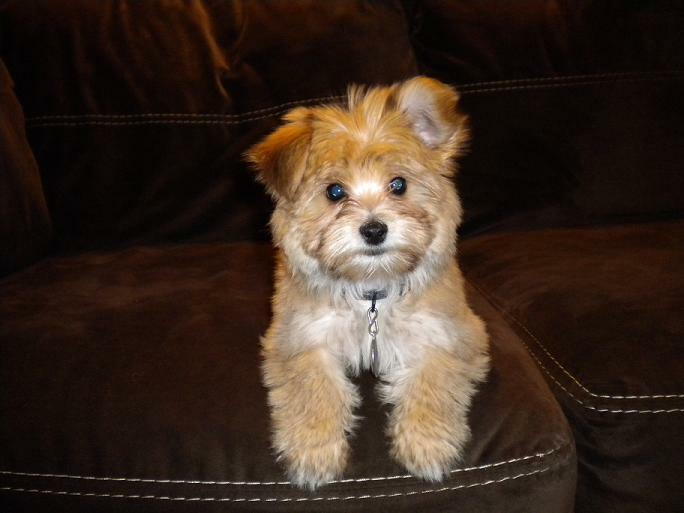 "I wish I would have started with Diane and Keegan Farms at the beginning of my puppy search! So many other breeders took 3 days to a week to respond, but Diane always responded the same day, if not within the hour. She also offered to bring Gismo with her on one of her trips to Omaha so I could meet him before making my decision. I would strongly recommend Diane and Keegan Farms to anyone looking for a new addition to the family. 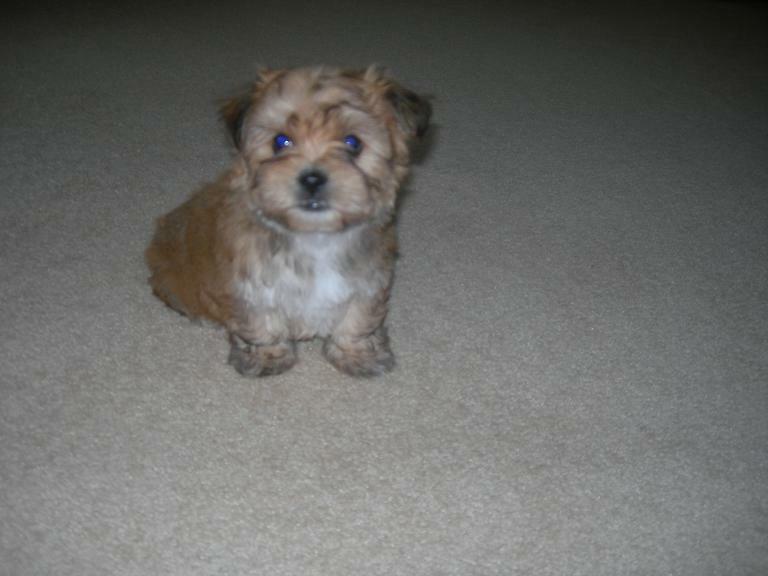 A puppy search doesn't have to be complicated, and Diane makes sure you get what you pay for: a happy, healthy puppy!" 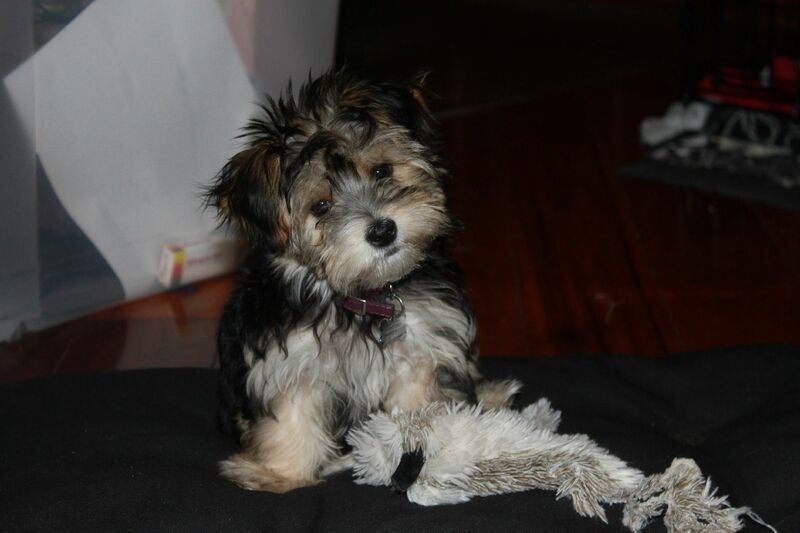 "Lily, our Morkie, has been such a wonderful addition to our family! She is adorable, smart, loving, fun, and healthy. Everything was clean, the dogs were up to date on their shots, and the puppies had been socialized well. Diane and Kenny are very nice and a joy to work with. I also appreciated Diane's timely communication with me throughout our adoption process. Keegan Farms is a friendly and professional business that we recommend to others." "Hi, I'm 'Peyton' and I was born at Keegan Farms on 8/17/2013. My breeder, Diane, took such good care of me, I am confident she got me off to a great start. She made sure I had all my shots, was able to socialize well and had a 'clean bill of health' before she let me venture off to my new home. I'm glad Diane got back to my new 'mommy', Debbie, super-fast after she inquired about me; because I love my new home and have settled right in. I'm spunky and energetic (especially when I'm chasing my new big brother 'Dexter' around the yard) but I also know when it's time to cuddle and be loved. 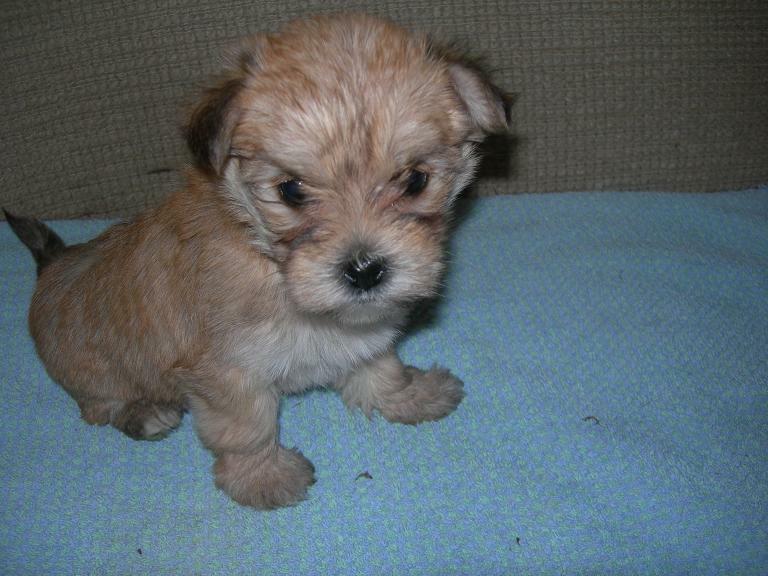 If you're looking for an adorable Morkie just like me, be sure to give Diane a call. Keegan's Puppies are the best!" 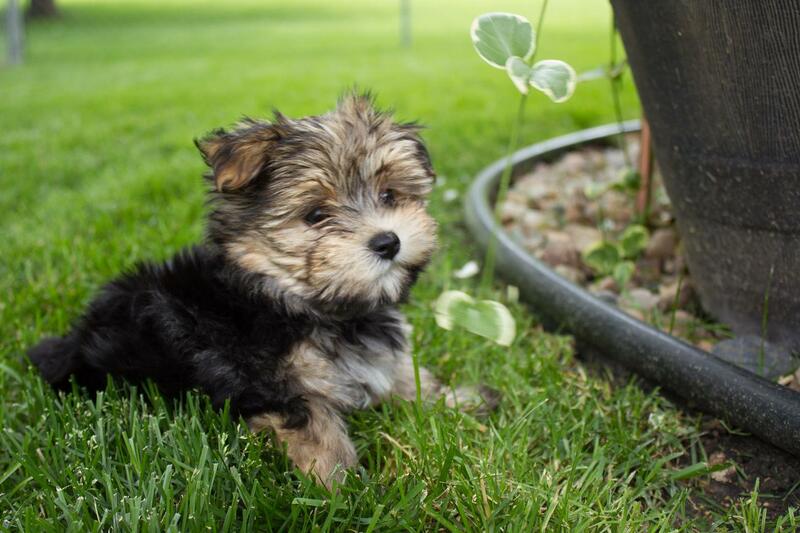 "Our family recently purchased an adorable Morkie puppy from Diane and Kenny. Tucker is such an amazing, healthy and well socialized puppy! He has such an outgoing personality! Since we have a great dane, Diane was wonderful walking us through what to expect with our little guy. He is spoiled rotten and has stolen every person's heart that sees him! Keegan Farms was so well kept! Everything was spotless and the environment was one of absolute love for these amazing pups! Tucker is honestly the healthiest puppy we've ever had and got raving reviews from our vet! Diane is kind, intelligent and cares deeply for her puppies and finding the right home for them. I would absolutely buy another dog from Keegan Farms! Thank you just doesn't seem like enough! Many, many thanks from the Miller Family." 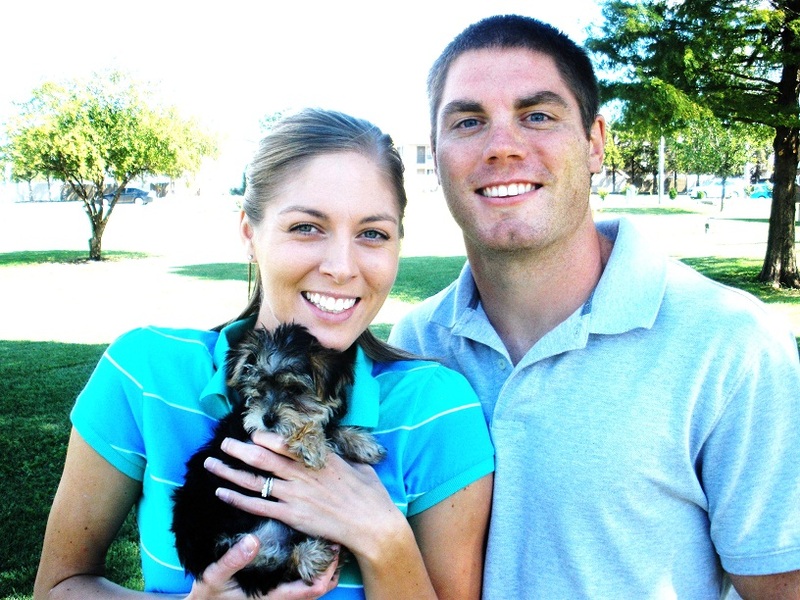 "My Family is so pleased with our choice to adopt our puppy from Keegan farms. We adopted Marco, in early November, so he has been with us just about six months. His personality is like no other, we absolutely love him so much. Although, he is a small breed he thinks he is a much bigger dog, he is so playful and yet so fearless. What amazes me so much is how smart he is. All my friends and family now want a puppy like ours. Right now he is our only pet, but, I am confident that once we feel we want another puppy we will definitely be doing business with Keegan's puppies, not only will Marco adapt to having a companion very well, but Diane was very professional and timely with all correspondence and she was available to answer any and all questions I had and made this experience as easy as possible. Thank you Diane." 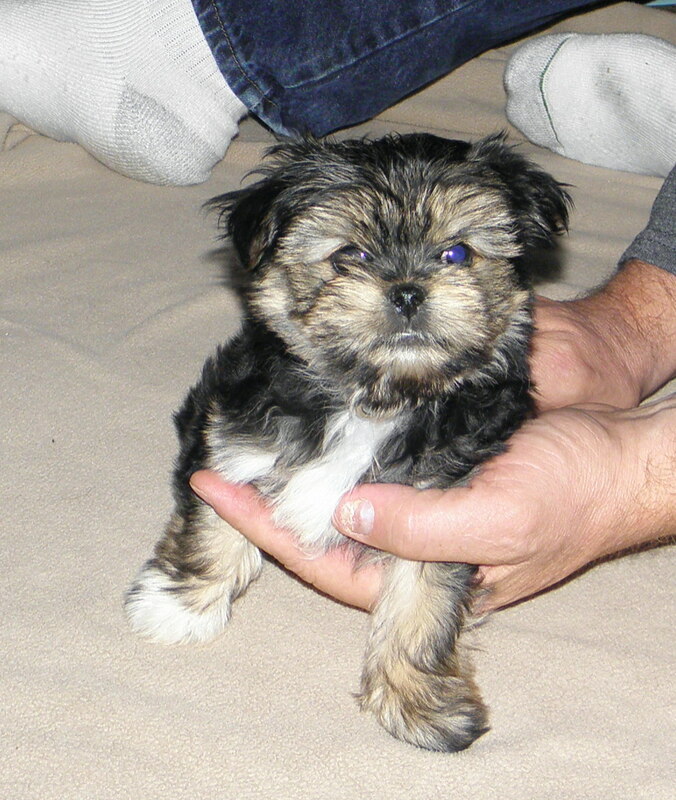 "My family has not used a breeder before and Diane was absolutely the best! 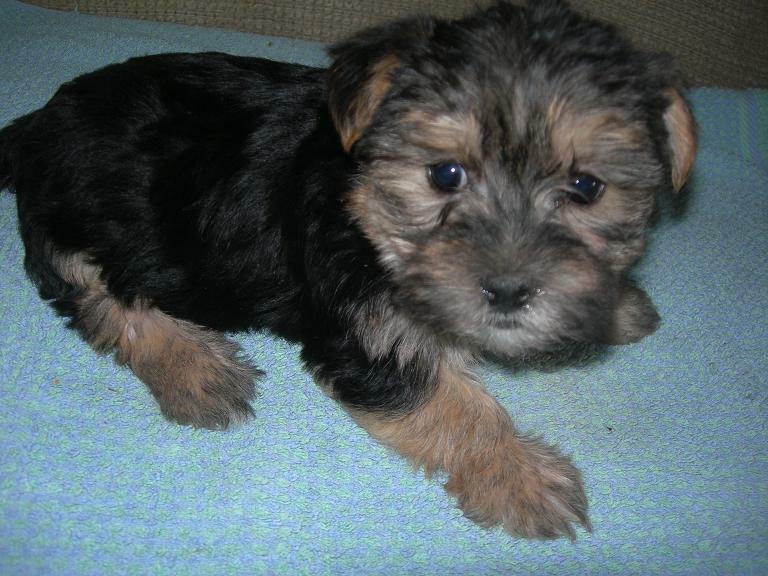 She always answered my emails quickly and sent me updated photos on the puppy that we were choosing. We traveled to Baileyville, KS to get our new puppy and enjoyed our visit with Diane and her husband. They were both great! Our new little girl, Sophie, is so sweet! She has the best personality and our 2 boys adore her! She melts hearts wherever she goes! Diane truly cares for all of her "children" and it truly shows in them! Believe me if anyone is looking for a great breeder....Keegan Farms is the one!" "Working with Diane was great! I don't have much past experience to compare it to but Diane has set the bar high! I have bad allergies to dogs & cats so when my 6 year old daughter started wanting a puppy, I had to look into dogs that did not shed. The Morkie seemed the best way to go and Diane was very kind to offer me a trial period with the puppy to make sure I did not have any problems. She even arranged to have the puppy brought to me in KC. Molly has been a total joy! Her favorite place is tucked up under my neck on my shoulder; AND she doesn't bother my allergies at all! Molly's personality is awesome! She can be a cuddly lap dog and watch movies all day or play so hard she zonks out! Everyone loves her and she loves to go places! At 5 months, her coloring has started to show more Maltese white around her face, she just gets cuter every day! Thanks Diane for making this process so easy!" "I would recommend Keegan Kennels to anyone who is interested in purchasing a dog. We were in the process of moving from Fort Riley, KS but Cody was definitely the dog I wanted before I left. We called The Keegan's because we saw Cody on their website. Ms. Diane made last minute arrangements with us to come see him that same evening. Within a couple hours of seeing Cody online I had him in my arms and I fell in love. I have also recommended Keegan Kennels to my coworkers before I left Kansas. Ms. Diane and her husband are very friendly people. They gave me information on how to care for my puppy and told me to feel free to contact them if I had any questions. 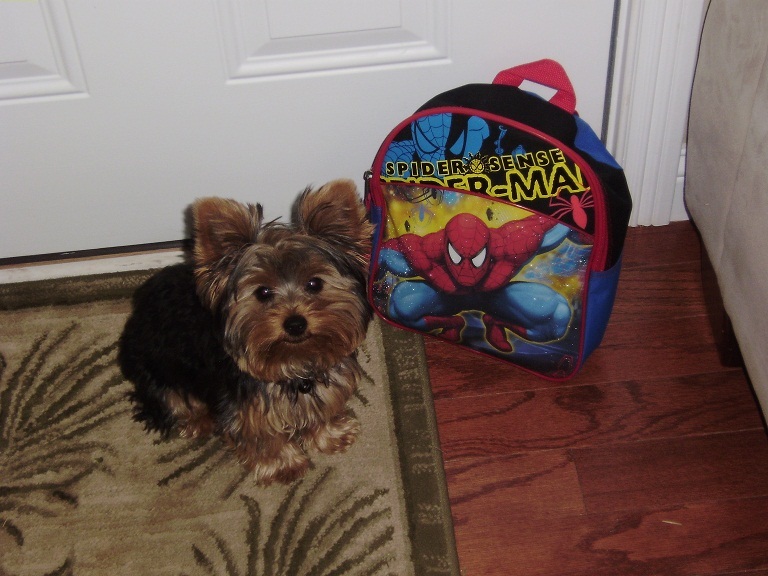 Cody has become a big boy and enjoys going to daycare while me and my husband are at work." 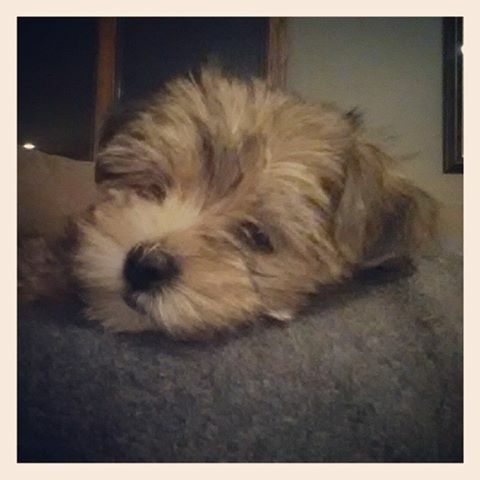 "We can not thank Diane enough for making our puppy adoption such a wonderful experience. Diane welcomed us to come look at her puppies 1 1/2 hours after I called her for the first time. She even offered to meet us in town to make it easier for us. My son has had allergies to dogs and we wanted him to play with the dogs to see if he would react. Diane allowed us to play with the puppies until Bailey, our new puppy, picked us out. She offered to allow us to return Bailey if our son was not able to tolerate her in our house. Thankfully he has done well and she's here to stay. Diane was very patient as we played with the puppies and then had all of the important documents like shot records, etc. available for us. She made everything so easy that I know where to go if we ever get another dog. Diane has sent us multiple emails checking on Bailey and our son. She truly loves her puppies and what she does. Bailey keeps us laughing with her silly playfulness and warms our hearts with her loving kisses. I credit this all to Diane and her love for her dogs! Thank You Diane!" "We had a wonderful experience with Diane, she returned my e-mail the same day I contacted her and allowed us to come and pick out our puppy the next week. She sent an update and pictures weekly of our puppy. Diane is very professional and very knowledgeable about the puppies and the care they need, it was very easy to tell that our puppy had been well taken care of. The night we picked up Charlie she sat with us answering questions and explaining the scheduling she had Charlie on to help us ease his transition into our crazy home of 3 little kids! Charlie was very easy to house train and is wonderful with our children!! He has been an amazing new addition to our family and according to the kids, the best Christmas Present ever!! We are very thankful to Diane for helping us bring Charlie into our home!" 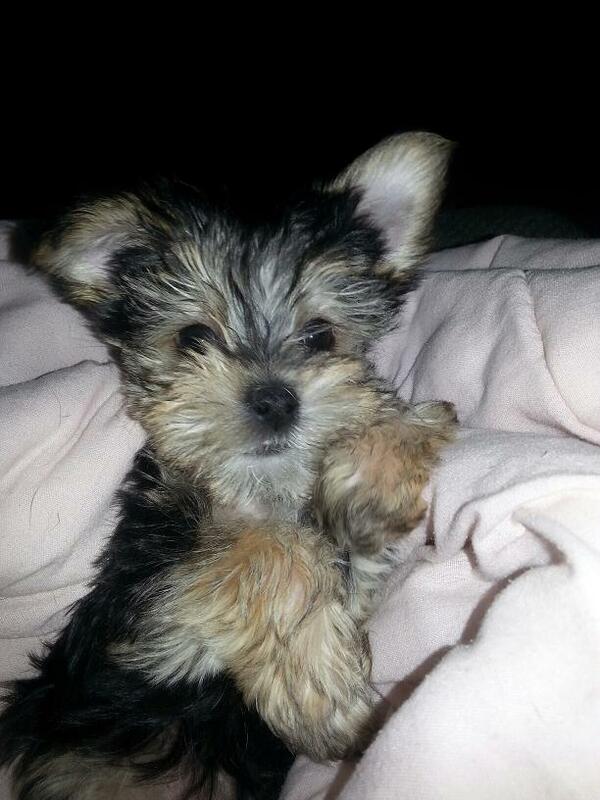 "We love our little Morkie, who we have renamed Sophie. She is active and well mannered. I know she's had loving care and will certainly get the same here. You've done a good job with beginning training. Thanks, again, she'll be Queen Sophie at this house." 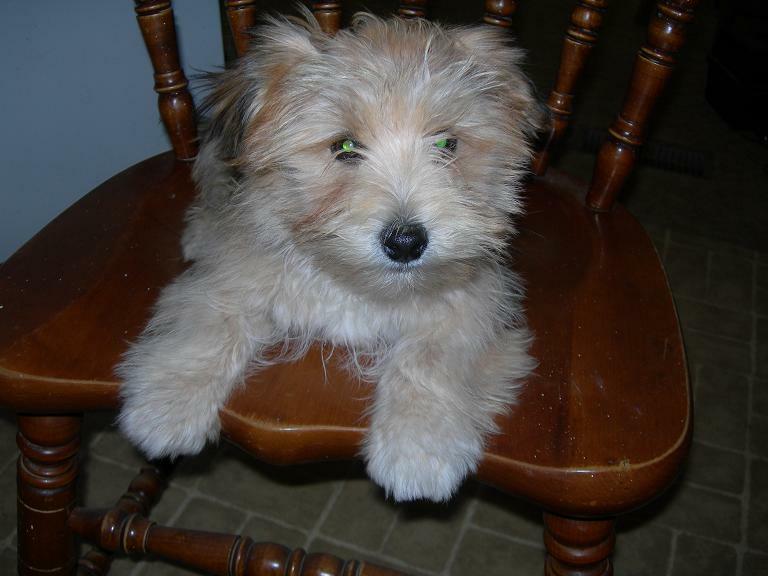 "Diane and Kenny were so easy to work with during the process of finding our wonderful dog, Daisy. Diane was great at communicating with us and providing pictures and letting us know how she was doing before she could join us in our home. When we picked up Daisy they were so accommodating, allowing us to rub Daisy's new blanket on her siblings so that she would be more comfortable in her new home. Daisy is happy, healthy, and a wonderful dog. She is full of personality and loves our 7 year old daughter as well as our older dogs. Thank you Kenny and Diane!" "Myleigh is doing great. She loves us as much as we love her. She has so much energy and is so playful. We laugh at her alot. She has quite the personality. She loves other people and other animals. She is pretty fearless for such a little squirt. She is already spoiled rotten. She had her well puppy check last Wednesday and weighed a whopping 2 pounds. They all thought she was adorable. The vet said he could tell that she was well socialized with people and well cared for. She didn't fight him when he checked her ears or anything. He said most puppies fight them when they are that little. We are so happy we found you on the internet, and so happy to have Myleigh in our lives. Thank You again so much." "My experience with Diane has been nothing but positive--from corresponding on a daily basis with weekly pictures to arranging to meet me in Manhattan to deliver Micki. This little morkie is special to me as she came into my life at a difficult time and has provided much joy and is great company to me. She is a very social little critter and loves everyone so she was well socialized before she came home with me. Thanks Diane, for bringing Micki into my life." "I am so pleased to have found Diane! After having a really frustrating time getting other breeders to contact me back or refuse to let me come see their puppies at their kennels, Diane was a godsend. We have had our Yorkinese, Tami, for almost two weeks and she hasn't had a potty accident in over a week. I partially attribute this the the healthy, clean environment she was reared in. Tami is very well socialized and is a very calm, happy puppy. I have already recommended Diane to friends of ours." 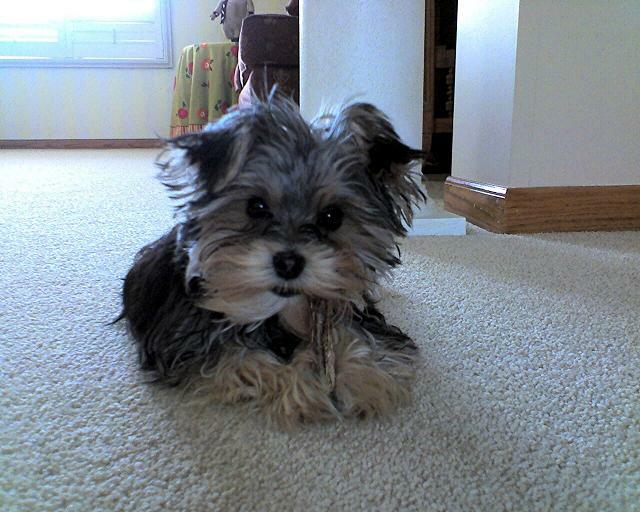 "Here is Cooper, our Morkie! We love him and he is so sweet!! He came to live with us in Omaha! Diane was so great to work with!! She answered all our questions in a very quick and timely manner and we asked her a lot of questions! If you are looking for a puppy, we highly recommend getting one from Diane! He is a very active and happy puppy! Cooper has made our family so happy!! Thanks Diane!!" 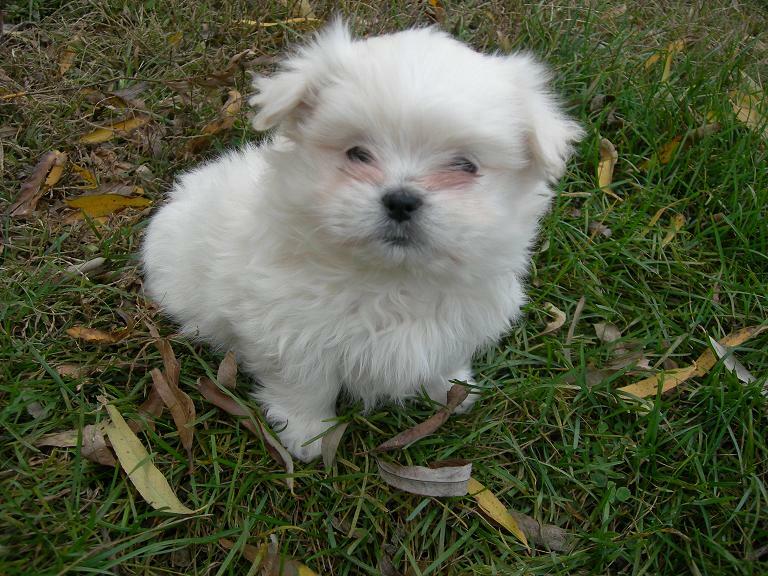 "Our new puppy Porscha is great. She is doing her business outside and is very playful. Thank you so much for her. My kids love her so much!" 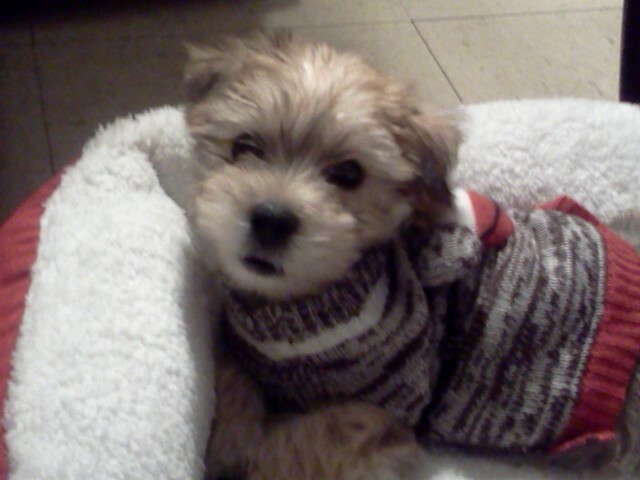 "Thank you for Scotty, our fabulous new Morkie! He is healthy as a horse. The vet gave him a clean bill of health, he was up to date on his vaccinations, and was dewormed properly. He is a very calm, affectionate dog and is fitting right in with our family. Thanks again!!" 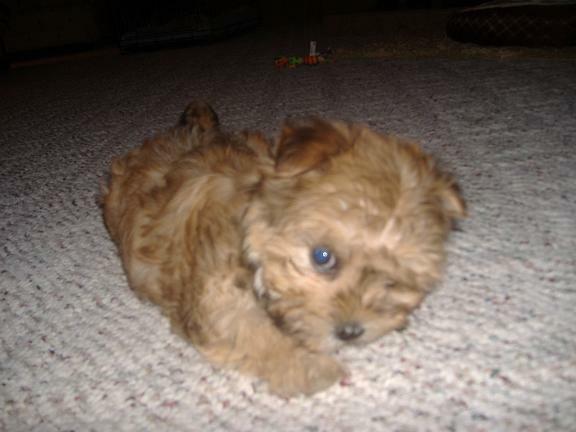 "In my search for a puppy I had contacted several breeders. Diane responded very quickly to all of my inquiries. She provided me with photos of Miles and answered all of my questions. Miles adjusted very quickly to his new home. He mastered potty training like a champ. Miles also has a loyal following in our neighborhood. He is very much a social butterfly. I couldn't have asked for a better experience!" 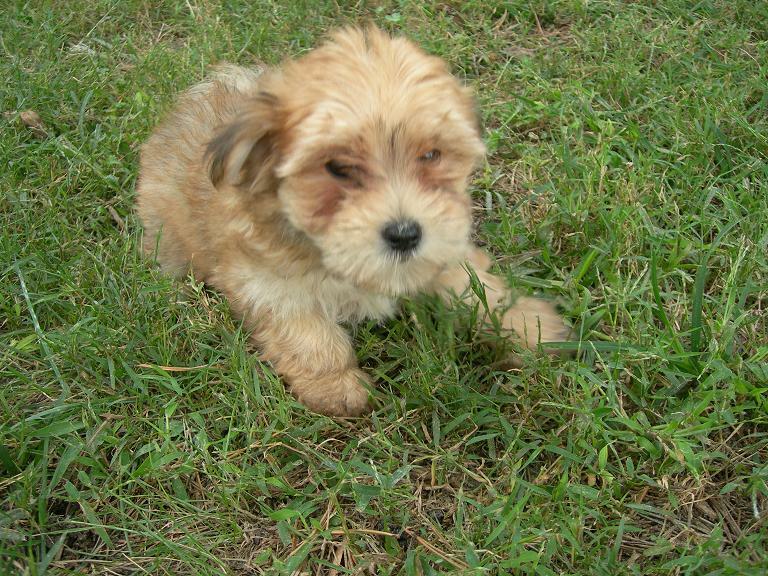 "I highly recommend Keegan Farms if you are looking for a healthy, happy puppy. Diane is great to answer questions and is very prompt to respond to email messages. Our puppy is adjusting very well and obviously had a great start. All our transactions were very smooth - even despite some very bad weather. Our vet was very pleased with the health of the puppy." "I was referred to Keegan Farms by a couple of friends because I had just lost my dog of 14.5 years and was grieving. Diane was SO nice, so understanding. 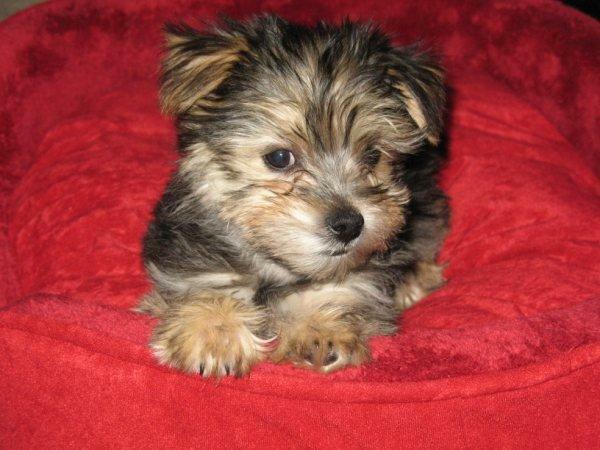 I wanted to downsize from a Husky and had seen a Morkie I liked. She referred me to their website, where she actually had videos, not just pictures, and so much information about them, and their other breeds, buying a dog, etc. The only problem was, I fell in love with them all. My first and second choice had already been spoken for, so she said I would have to wait to see if they actually took them. It was a nice short country drive away from Manhattan, KS, so we jumped in the car and drove there to see them in person, meet them, play with them, and decided that ALL of them were keepers!!! She had them on the kitchen floor to play and interact with, which we felt was so important because sometimes the one you pick out on the video isn't the one you immediately bond with, but in our case, it was!!! Rufio is everything I could have hoped for and more. He lives up to his Valentine's Day birthday, he is so loving and affectionate, so playful and personable, and we can't take him anywhere that everybody doesn't want to hold him and fall in love with him. I am trying to talk my husband into another one I love him so much, and SO DOES HE...He is crazy about him, and believe it or not, so do our cats, one is even sleeping with him and puts his hand out to touch him. I think that speaks a lot about where they are from and taken care of from the start. It is a clean country atmosphere, and Diane couldn't be more helpful. She has emailed me several times since we got him, and I her, and she is also so timely with her response!" If you need more information, please contact us and I will be happy to answer any questions you have. We are located approximately 2 hours from the downtown Kansas City Kansas, Kansas City Missouri, Omaha Nebraska and Council Bluffs Iowa metro areas. We also serve customers in Topeka, Manhattan, Lawrence, Overland Park, Olathe, Wichita, Shawnee, Hutchinson, Leavenworth, Leawood, Emporia, Prarie Village and Salina Kansas, St. Joseph, Independence, Lee's Summit, Blue Springs, Liberty, Gladstone and Raytown Missouri and Bellevue, Grand Island, Kearney, Fremont, Hastings, Columbus and Lincoln Nebraska. We have puppies for sale in Kansas, puppies for sale in Nebraska, puppies for sale in Iowa and puppies for sale in Missouri.